An Auburn University alumnus and leader in developing communication systems for persons with severe disabilities will be the keynote speaker at the university’s fall commencement ceremonies Dec. 15. Walt Woltosz graduated from Auburn in 1969 with a degree in aerospace engineering and is a cofounder of Words+ Inc. and Simulations Plus Inc.
Auburn will confer 1,750 degrees during two ceremonies at Auburn Arena. A 10 a.m. ceremony is being held for the College of Education; the Samuel Ginn College of Engineering; and the College of Liberal Arts, and a 2 p.m. ceremony is being held for the College of Agriculture; the College of Architecture, Design and Construction; the Harbert College of Business; the School of Forestry and Wildlife Sciences; the College of Human Sciences; and the College of Sciences and Mathematics. 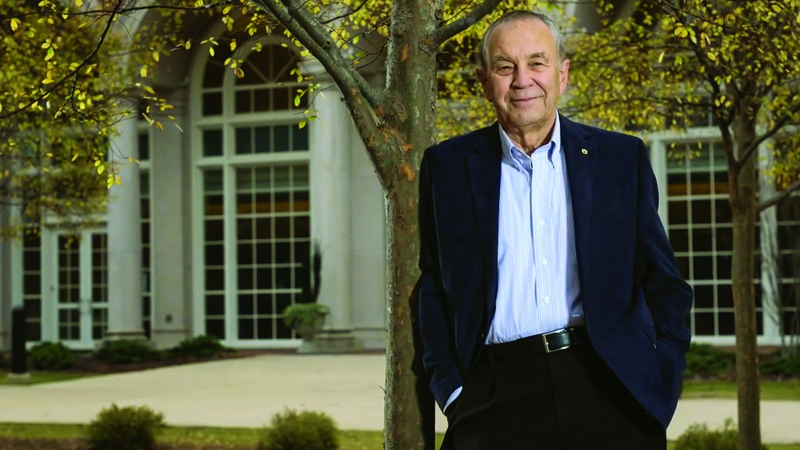 After graduating from Auburn, Woltosz earned his master’s in administrative science from the University of Alabama at Huntsville in 1976 and his master’s in aerospace engineering from Auburn in 1977. Early in his career in the aerospace industry, Woltosz managed the development of innovative simulation and modeling software for key space and military systems. In 1980, when his wife’s mother became ill, he turned his attention to developing augmentative communication systems for persons with severe disabilities. Since 1981, Words+ Inc., — a firm he and his wife, Ginger, founded — has been a leader in creating state-of-the-art products that “unlock the person” by providing the highest quality communication and computer access tools available — products that have been recognized by the Smithsonian Institute. When world-renowned astrophysicist Sir Stephen Hawking’s ability to communicate was compromised by ALS, it was Woltosz’s Equalizer and EZ Keys programs that allowed Hawking to continue his groundbreaking work. In 1996, Woltosz founded Simulations Plus Inc. (NASDAQ: SLP) and turned his inventor’s eye to developing simulation and modeling software for drug discovery and development. Today, Simulations Plus products are used by more than 200 pharmaceutical firms, including the world’s top 25, helping to analyze new products and saving millions of dollars in research and development costs. Woltosz is a member of Auburn’s 1856 Society, Petrie Society and Athletics Oaks Society, as well as the Samuel Ginn College of Engineering’s Keystone Society, Ginn Society and Engineering Eagles Society. He currently serves on the Auburn University Foundation Board of Directors, the Auburn University Real Estate Foundation Board of Directors, the Auburn University Research Advisory Board and chairs the Auburn Alumni Engineering Council, and he is a life member of the Auburn Alumni Association. Woltosz is married to Ginger Woltosz, who was a cofounder of both Words+ Inc. and Simulations Plus Inc., and is secretary-treasurer of Simulations Plus, a public company listed on the Nasdaq stock exchange. 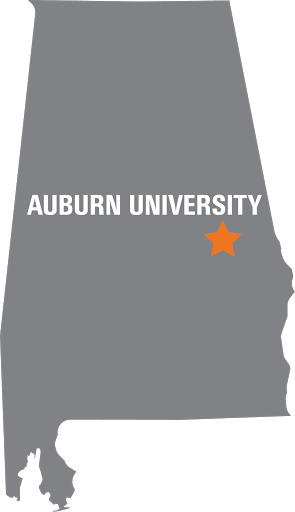 Auburn will award 75 doctoral degrees, 355 master’s degrees, 10 education specialist degrees and two veterinary medicine degrees. The bachelor’s degrees by college and school are: Harbert College of Business, 277; College of Liberal Arts, 258; Samuel Ginn College of Engineering, 252; College of Sciences and Mathematics, 150; College of Education, 126; College of Architecture, Design and Construction, 106; College of Agriculture, 72; College of Human Sciences, 51; and School of Forestry and Wildlife Sciences, 16.